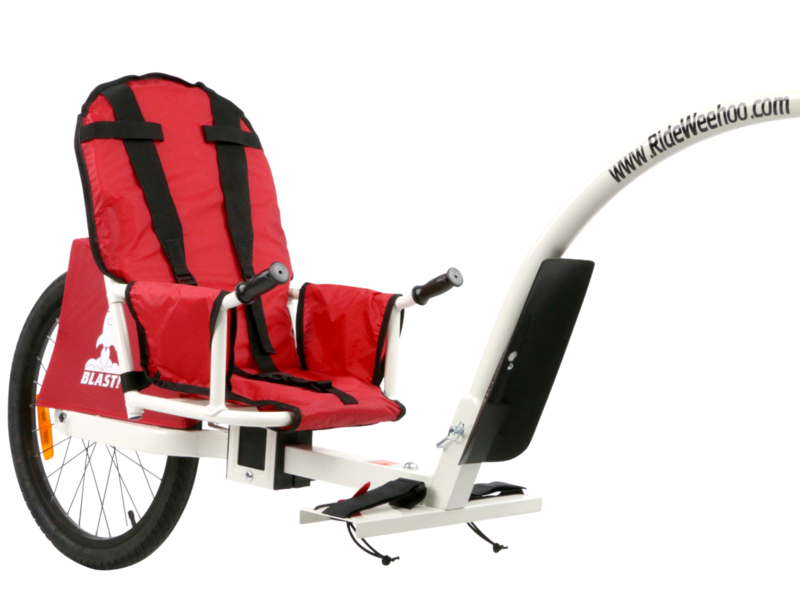 The Weehoo Blast, the smaller and lighter brother of the Weehoo iGo, iGo Venture, and iGo Two pedal trailers which are the new benchmark in bicycle trailers. The balanced, streamlined design of the iGo gives you the ability to share your style of riding with your children. And riding is easy with the patented, self-aligning hitch, and single wheel design. This fresh approach to family mobility allows children to eat, sleep, pedal, or just sit back and enjoy the ride. Let The Adventures Begin!